SALAR Media Group | Will Cannabis Become the First Brand-Free Industry? SALAR Media Group / Investment / Will Cannabis Become the First Brand-Free Industry? It’s no secret that every aspiring entrepreneur focuses on building a brand. For certain industries, this is a valid pursuit. But for the emerging cannabis industry, devoting excessive resources in time and money to build a brand may be a mistake. The reasons: Cannabis is a perishable, crop-by-crop product, and producing the exact clone of a strain in successive generations is difficult. The exception may be in edibles, but even here, there has to be enough supply to build a national brand, which is the most common way people think of a brand’s accessibility. Of course, non-profits, such as charities and foundations, also have brand value that makes it easier for them to raise funds, educate the public about their cause and conduct their business. But the brand for charitable organizations is closely tied to their earned reputations and the good works they accomplish. Third, the product is illegal in most states. This makes the effort to build a national brand problematic if the product is not accessible nationwide. It is also not inconceivable that reactionary state legislatures can limit or ban marijuana, even in states where it is illegal. While building a brand takes decades and hundreds of millions of dollars, the good news is that the cannabis industry may not need to be brand conscious in the first place. Yes, local branding efforts will prove valuable at the urban and community levels, but depending on where a business is in the cannabis production chain, branding may not be that helpful. At the grower’s level, a business’s reputation (which is only one element of a brand) will depend on delivering quality, pure, tested products. At the dispensary level, the basics of good service, reliability and fair prices are the expected behaviors that can be buttressed by community involvement, good labor practices and adopting a co-op corporate structure. Suppliers will build their reputations based on positive bread-and-butter business practices, enhanced by clever forms of differentiation (coupons, partnering with complementary businesses, new products, etc.) But for all these segments, branding will prove to be expensive and frustrating. Modern corporations, most of which are at least a generation old, that have become household names, built their brands in a different era. Only over a decade ago, media was limited to print, TV, and radio, was more channeled. Traditional advertising (almost always through an agency) was the accepted path to reach customers and was determined by the client’s ad budget. Building brands in a pre-internet world was always an expensive challenge, but it was easier since there were fewer media variables to consider and consumers were more readily identifiable. They also had more disposable income. It’s certainly understandable why new business owners today focus on building brands. Brands, as a form of intangible were called “goodwill” on corporate balance sheets until ad agencies began to isolate and quantify the name values of Coca-Cola, Ferrari, Chanel, IBM, and Polo. Academics and financiers have found this fertile ground for study. But all this does not translate into the inherently, non-traditional, mostly privately-held cannabis industry. People identify quality services and products brands both intentionally and sub-consciously. The subconscious makes lightning-fast links between positive and negative emotions and outside events that are both current and past. This occurs in every human interaction regardless of whether a business in intently focused on building a brand or just serving a random customer. 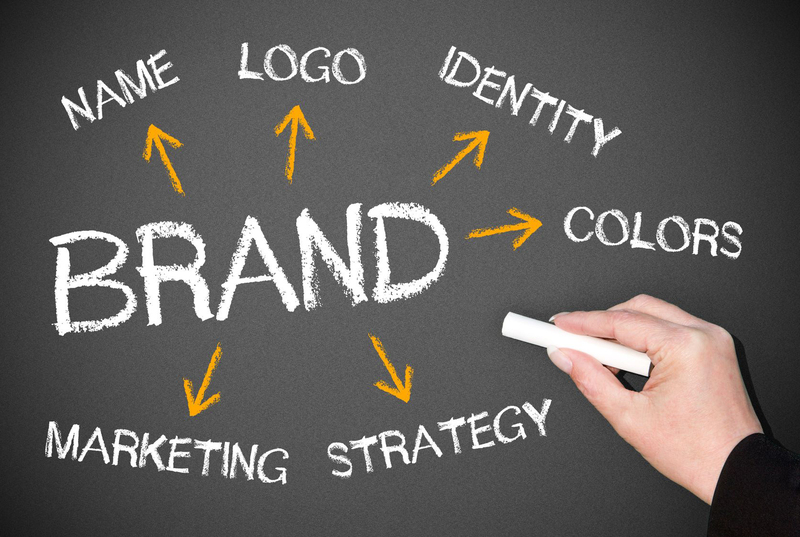 Too many entrepreneurs misunderstand and misuse the idea of branding. I’ve heard many people say they have a web site, so now they can build a brand. Even worse, many people assume that because they have a web site, they also have a brand. That’s not true. It can even be a delusional waste of limited resources for serious entrepreneurs. They make loyal customers that can maintain a company’s profitability and a stable work force. They help create new products. They protect customers by providing consistent quality. They help promote corporate participation in socially responsible programs. Which Industry Segment Has the Best Branding Prospects? Yet with all of these obstacles, there are some good opportunities for branding in the cannabis industry, specifically for growers and dispensaries. Growers have a solid opportunity if they follow the existing model used in building brands in the wine industry. Growers can model their efforts on wineries that also have a perishable commodity, subject to natural variations and exceptional years. Growers will face these same issues even under greenhouse conditions. The key is to build the grower’s brand by touting top strains, product cleanliness, horticultural expertise and adherence to strict, transparent test results by independent laboratories. Growers also have the best opportunities to build national (or as close to national) brands as the regulatory environment permits. The caveat is that the branded vineyards have built their reputations over decades. Can the cannabis industry be that patient? The second good branding opportunity exists with dispensaries; however these brands will be localized, sometimes at the city or neighborhood levels. Brand-building for dispensaries will be based on being a solid, community-oriented local business. So can cannabis be the first billion dollar industry in modern corporate history to succeed without having a handful of “leading” national brands? My bet is yes, if they follow the best outcomes that brands can create. Then, the individual companies that comprise the industry can reap the rewards brands offer without intentionally going through the huge expense and time that brand-building requires.